As in Year 1, there’s still a lot of practical and visual learning in maths, using real-life situations children can relate to. The children are learning to think about the methods they use to solve problems, and to check if they are correct. They will start to work with logic problems, and will be recording their results using lists and tables. They will also start to work on solving maths problems mentally. You may find the children revisiting topics they covered in Reception or Year 1. This is revision in preparation for KS1 SATs, but also to ensure that children have really understood the basics before they move into Key Stage 2. The maths your child is learning now can be easily reinforced at home. 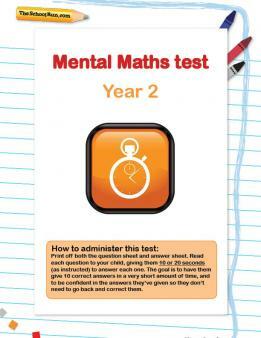 Boost your child's confidence with regular at home practice – look through our Year 2 maths worksheets (including our Year 2 mental maths mini-test) to find activities to mirror what is being learnt in the classroom and make KS1 maths concepts come to life with practical maths suggestions from a KS1 teacher. 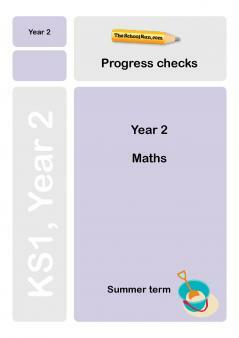 Check your Y2 child's progress in maths with our free Y2 maths Progress checks, three mini-tests for autumn, spring and summer term.